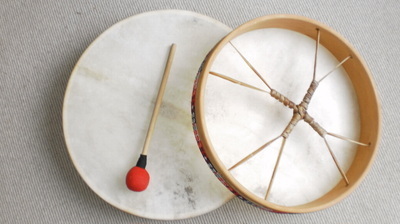 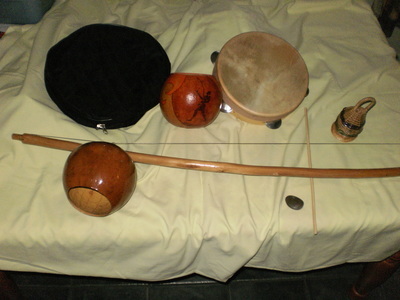 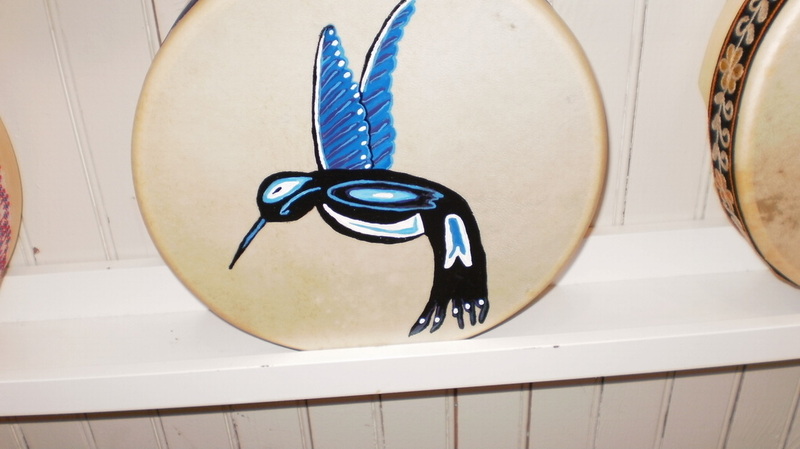 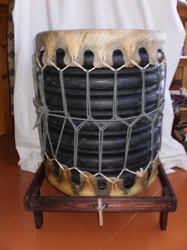 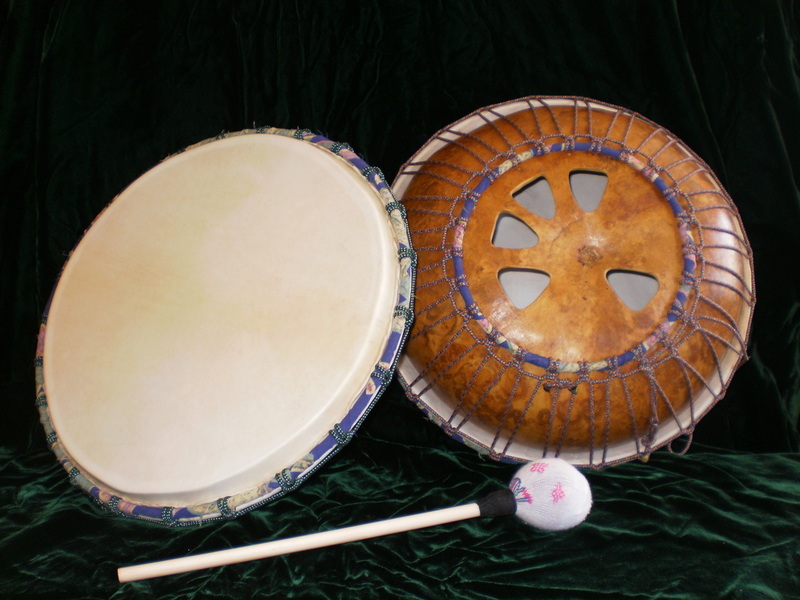 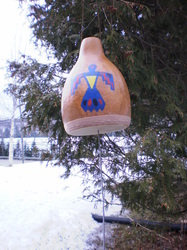 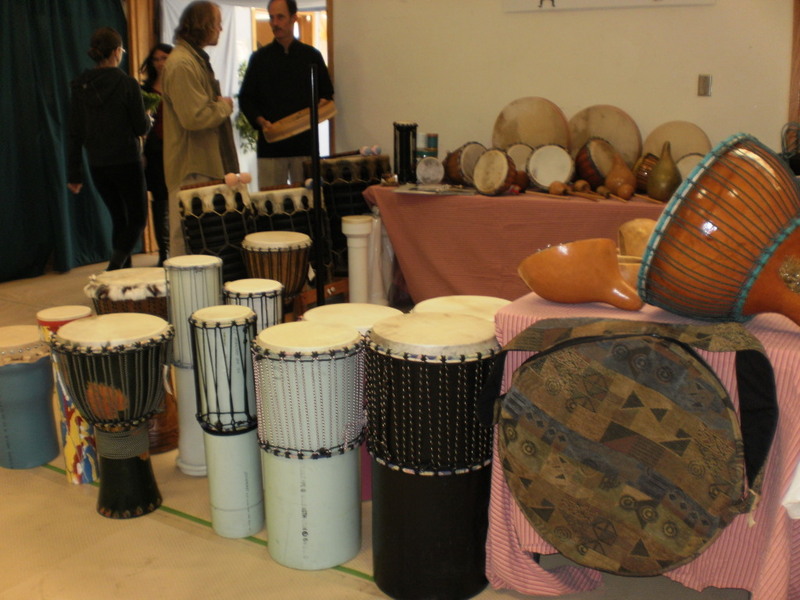 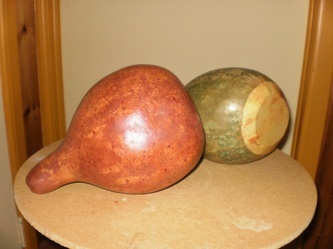 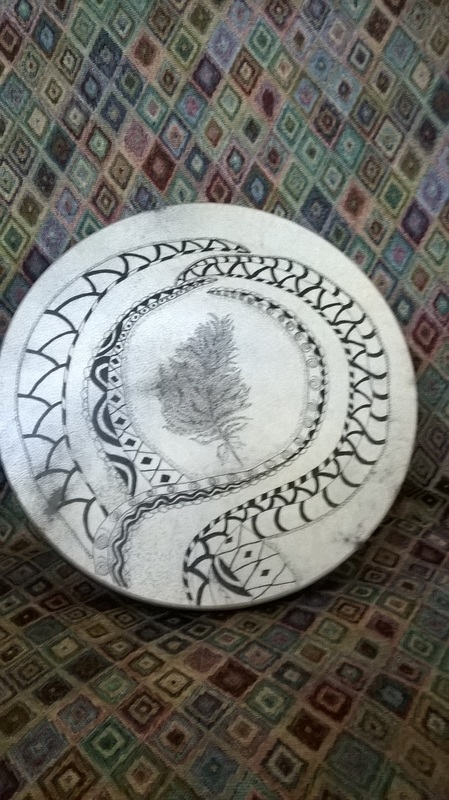 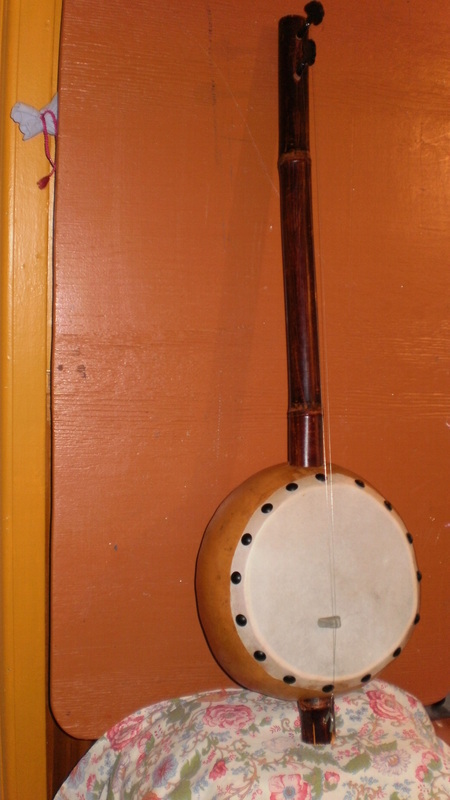 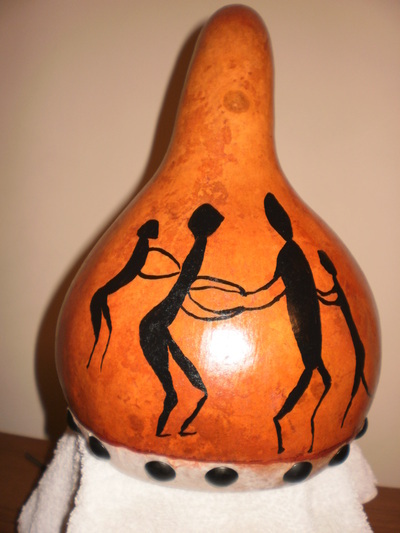 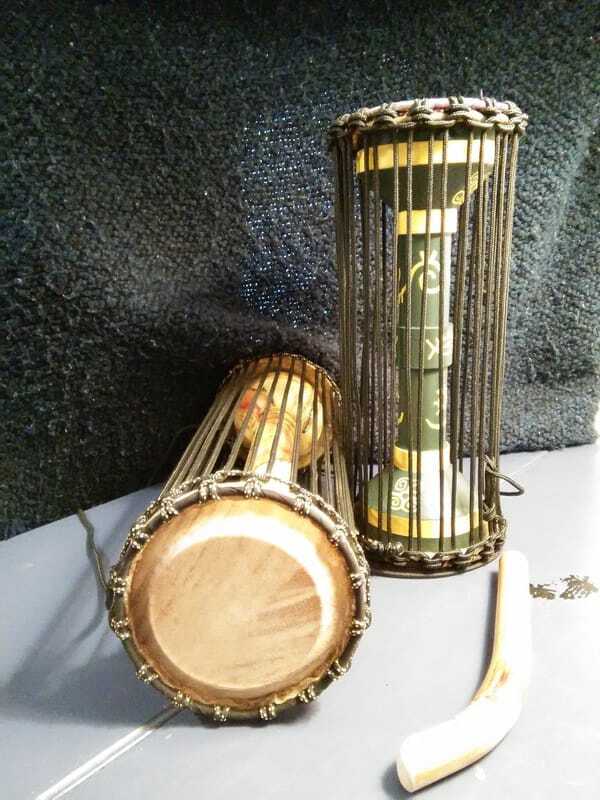 Hard Shelled Gourd Thunder Drum or Spring Drum. 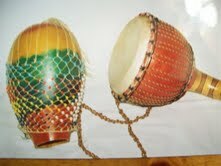 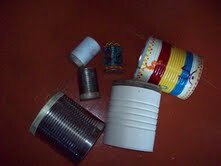 Use it in your hand or hang it in a tree for a thunderous sound! 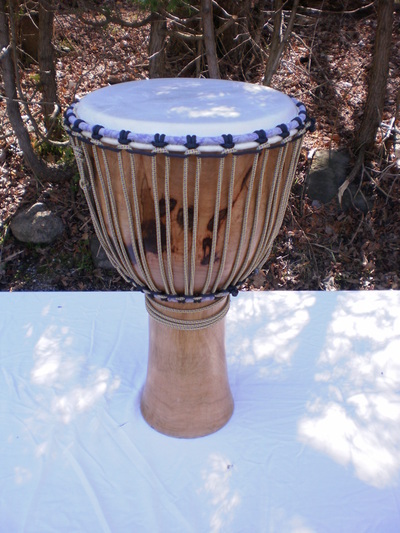 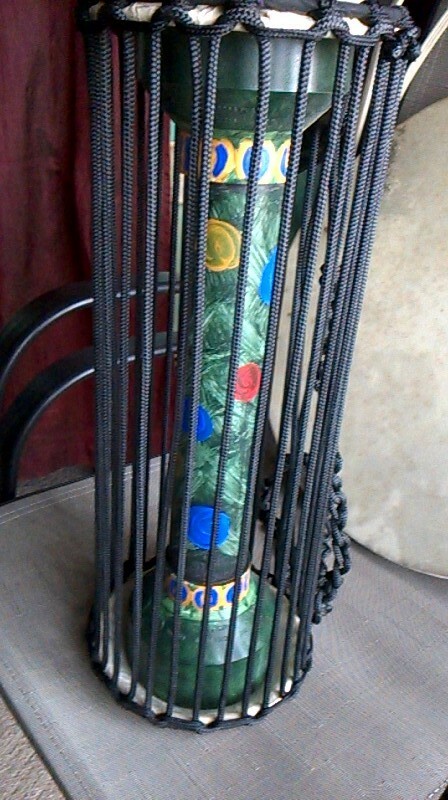 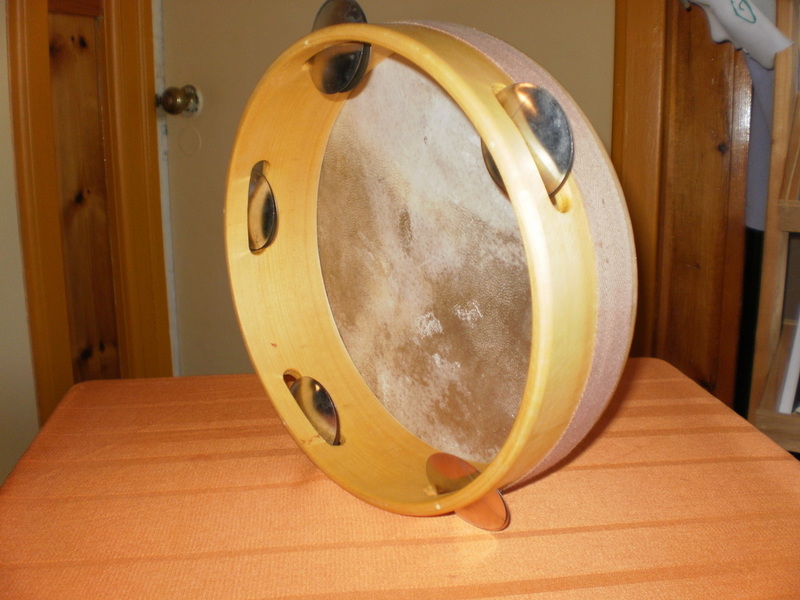 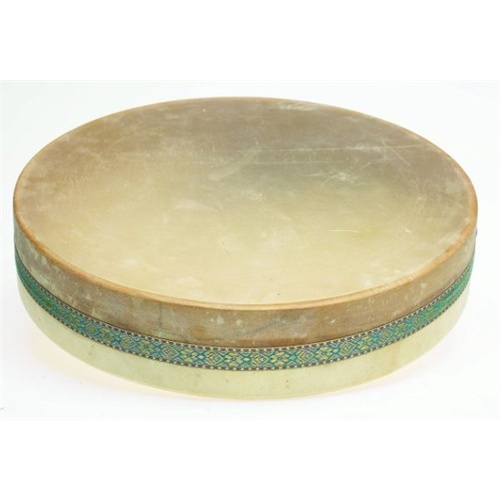 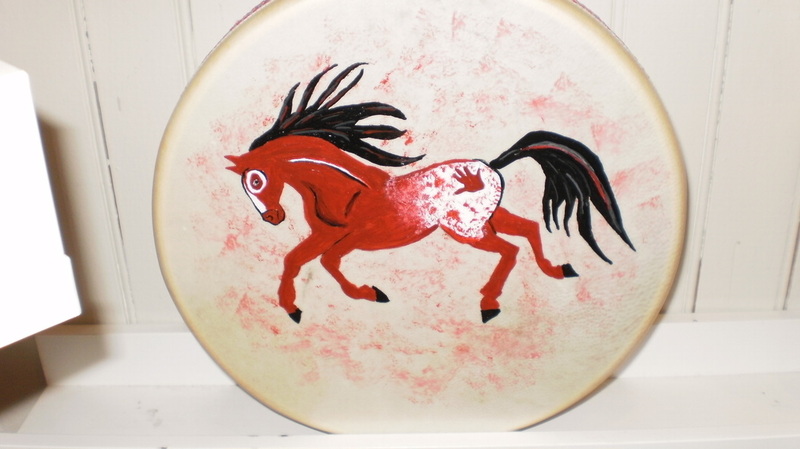 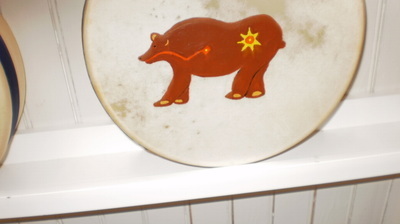 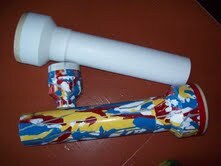 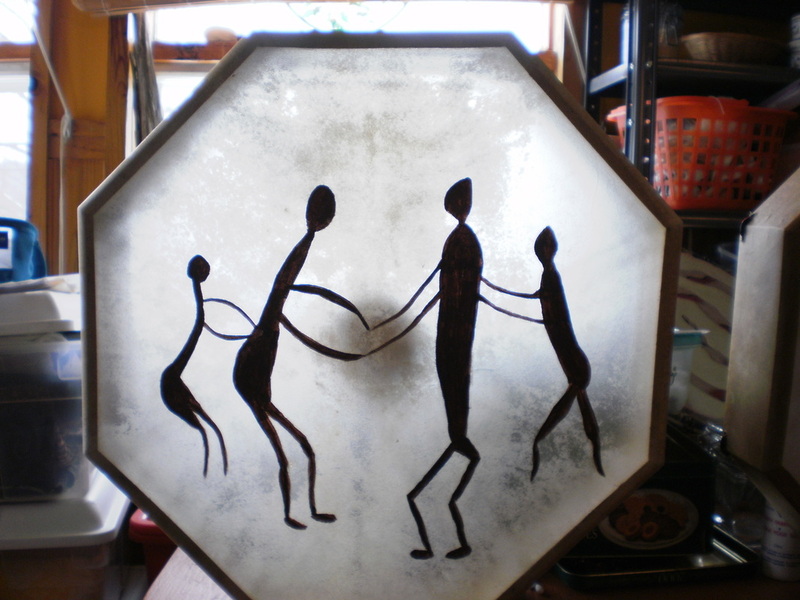 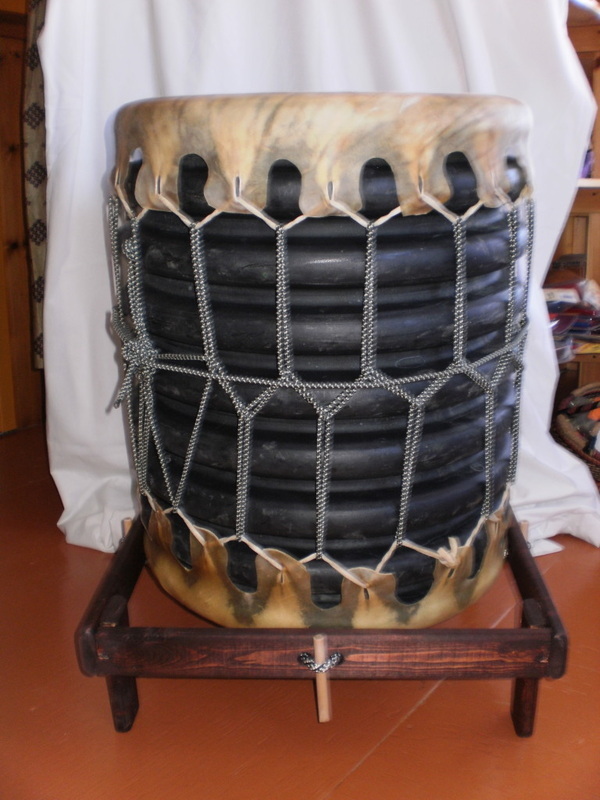 Hexagon Frame Drum with goat skin hand painted.